On Massdrop, whether you’re a beginner just starting out or a seasoned expert, you should always be able to find answers to your questions within the community. DRESS WATCHES There’s a watch for every occasion, and when the occasion is on the formal side, you’ll want a dress watch you can count on. These timepieces can be minimalistic and complex at the same time, and there’s much debate about appropriate styles. Whether you’re into time-only displays, high-complication watches, precious metals, or patinas, there are many ways to keep up appearances. ASK QUESTIONS • Which qualities should I look for in a dress watch? Do I need one? • What’s the best display or dial layout? • Do straps matter when choosing a good dress watch? Find your answers by asking the community. There are members here who are experts in pretty much every area you can imagine, and they can help you go from beginner to pro. Ask your question/s by posting in the discussion below. GIVE ANSWERS Many of you in the community have valuable information to share. We encourage you to help those who have questions or open the topic up for debate. By definition a dress watch is one that is warn during a “dress” occasion so I personally would not consider a dive or tachometer type unless it’s exceptionally thin and high quality Though I have my Omega titanium chrono I still prefer to use my Longines classic dress watch, very thin, accurate and understate. Confusing a dress watch with a Formal or a Tux watch are two different subjects. A dress watch comes down to the same decision as “what tie to wear.“ A tux watch opens the door to any simple or elegant black or white faced watch. Any tourbilon or any dateless Watch, the thinner the better. Your cufflinks are more important than your watch. 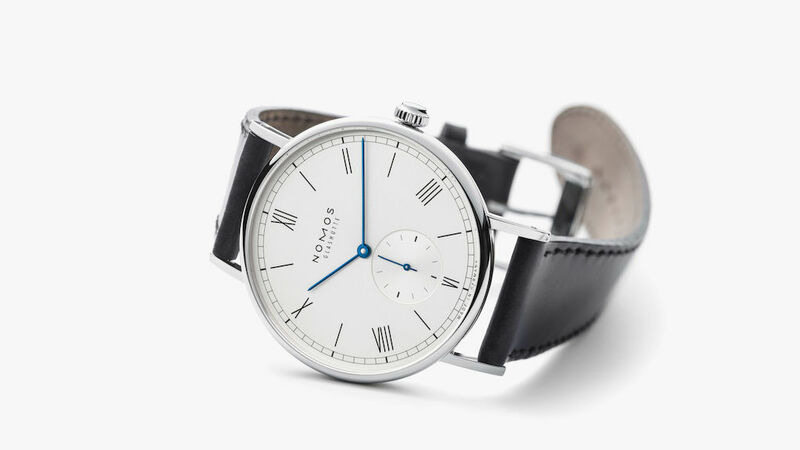 What do you guys think about the Junkers Bauhaus watches? JLC Ultra Thin Moon will be my go-to dress watch. Understated and classy! A G.O. is far from Old School. This Geman company makes some of finest watches in the world and is as current and contemporary as any. Was the 50th Anniversary Accutron Spaceview made from NOS caliber 214 movements or were new calibre 214 movements made for this limited edition? Some of my dress watches..
Those are terrific! Any stories to accompany the pieces? I guess I'm obsessed with vintage watches and apparently, 34-35mm rolex is my perfect spot. The UN was just an impulse buy. The only special piece for me is that cream dial 1500, it was my first vintage watch. I used a Bell and Ross Rose Gold Vintage with a Valjoux 7750 movement as my daily watch for years. Love the performance of the watch as I was travelling all the time, adjusting it and then letting it run. With the Valjoux, I loved the thickness and chunkiness of the watch. The Perrelet First Class A1073/1. I don't dream big, but I think this is gorgeous. A little off topic, but I am kinda new to this: What do one do to nominate a (this!) watch for a drop? Touchofmodern.com has this one on sale, they're retail display models. Pictured: Waldhoff Regent. Powered by a SEIKO NH38 Automatic movement. They're real big on saying "Made in Germany", but no where on the watch does it advertise the Seiko or Miyota movement powering it. It just feels really disingenuous to label it that way. If it's a miyota movement then it's a Citizen that's their movement divison.Seiko is a totally self contained company making all their own parts including batteries. So many divers in a dress watch thread, kind of odd. In my mind a dress watch should have an unmarked bezel, thin, and no more than 40mm. Some say no more than 38, but I've found those to look comically small on my wrist. Sure thing.... you get one, please make sure to post an update! Hamilton has become a great entry level Swiss watch. Even though I personally avoid Swatch Group, they make a solid watch. My wrist 👍 but not my watch 😭. Outta my reach (by a wide margin), but definitely end game territory. SLEEPER AF. You could wear this everyday. A. Lange & Sohne Saxonia boutique edition. for me at least, this is actual perfection 👌 gotta dream right? Dreams keep me motivated, on track and moving forward in a positive direction towards those dreams. In my mind's eye, dress watches have changed for me in terms of defining on what a dress watch is. Growing up, it was the classic Timex and Seikos for the working class and throwing in the Rolex name out there every now and then for the boss people lol. After becoming a WIS of sorts nowdays, my tastes and style has changed a lot. I have a few watches like Skagen and Timex issues are my OG watches when I first started out YEARS ago, which may fall into the dress category. With the advent of microbrands out there, like microbrew beers and winery, has a place in my collection. Don't get me wrong, I love a gorgeous datejust like any other WIS, but personally and realistically for me, I prefer something worth less than my car lol. My last dressy watch was the Visitor Duneshore. I got a few compliments but I think it was in addition to the 3 piece suit I was wearing as well lol. What/where did you get the bracelets in pictures 2 & 6? Hey folks. We have a winner of the Orient 2nd Generation Bambino Version 2. Congrats to @SpiritOne! The giveaway has concluded, but if you have any questions (or answers), keep them coming. Thanks y'all. Wow! Thanks so much! Just when I was lamenting the bygone era of my old gen 1 Bambino it looks like I have a new gen 2 Bambino on its' way. Since joining the ranks of the WIS, Massdrop has been a gateway drug for me. My first real automatic was the Sarb035 a continuing mainstay in my collection. From there I've ended up the stepping stones for more. Anyhow, keep at it guys! My 2cents worth, just to throw my dress ups into this mix. GRAF ZEPPLIN 7578-3 and then of course ,there's always daytime dress up ! SRPB51 Sorry, no high end pieces, I'm more middle of the road. Love the Tissot...great vintage look to it! This to me is my idea of a dress watch, simple , black , on leather and fits under cuff!just saying, a day on the boat this Seiko works!Reality if it feels good wear it!! Ps no beads, don’t peacock , I do like beads that match something your wearing but not for dress up , save thoses for casual or half dress up! The sole function of the dress watch is to compliment a business suit or formal wear. A dress watch needs to be simplistic. As I read other contributor's thoughts about what a dress watch is to them, I see a pattern in the description. I would call it Mid-Century Modern. Thin, mid-size, simple, small or no bezel. Basically what my father wore in the 1950's to early 60's. The common watch for the time. But I say that dress watches are a broader category. From the Art-Deco designs of the 1920's, the classic Tank layout of the 1940's and early 50's. A solid gold Rolex President on gold bracelet. They all say "dress watch" to me. The theme is "elegant" but not "gaudy". Gold is good. Plastic is not good. The artful application of diamonds fine (think Movado Museum) but not when it is all blinged-out. There is room for individuality here and personal style. Now I will share from my collection. Any of these watches I would wear with a suit and tie without hesitation. Just a matter of making sure the strap color matches the shoes and belt OK. But I draw the line with my Mondaine. Other than size at 40mm, it follows more than one person's described definition of a dress watch in this thread. Simple 3-hand movement, plain dial with stick markers. minimal bezel, leather strap. But it really is a casual style. Anybody would consider it that IMO. That is why I don't like such a strict definition some people want to use. Yeah, but an unwritten rule is not flashy......... and that Mondaine (I have a black dial version myself) is a tad on the flashy side of things. However, it would still fit into most dress watch scenarios. I actually wore it with a suit to a wedding last fall and it didn't feel right. It was one of the primary drivers in me picking up something I consider a bit more "dressy." For me, a dress watch is modest in both size and appearance. Leather or metal bands. No large bezels, so "divers" of any sort are out of the question. I prefer thin hands and roman numerals or hashes. A dress watch should not call attention to itself, either in a negative or positive sense. Two of my favorites are the Orient Symphony and Orient Sentry that I got here on Massdrop. What are people's thoughts on (rose) gold cases? Under the premise that a dress watch is not supposed to call attention to itself, wouldn't a gold case stand out too much? Even in more casual settings, I personally don't wear watches with gold cases often (even if I like how the watch looks) because I feel like I'm being a tad gaudy. I think a perfect example of this is Omega's "Olympic Official Timekeeper" in their Sedna rose gold. It is a wonderfully elegant piece, in my opinion more attractive than the yellow gold model. Rose gold, or yellow gold, can be fine. I think what's important is that it not be too flashy or have a real "bling" effect. If the watch is too loud, it loses much of the dress effect that I am looking for. That said, I do prefer a silver tone case over gold, although I have both. I have always enjoyed my dress watch collection this is my 2 of my favorites . Frederique Constant ‘s. I know it’s a little sad but citizen has a lot of money to play with. So I’d imagine they would keep FC ”independent“ and throw huge amounts of money towards R&D. Who knows it might be better for FC and be able to keep quality up while keeping price down. Well I’m curious how it all ends up I know I’ve enjoyed their watchs styling size and manufactured works . This is a lengthy discussion that I have with myself every time I get dressed to leave for work or a suit/tie function. What is the best/most appropriate watch to wear? While I have amassed quite a collection to date of many different styles of watches - everything from Breitling for Bentley's to Nixons to Cartier to Raymond Weil to Movado to Kenneth Cole - I spend more time deciding which watch to wear than picking out the suit and tie. My latest "go to" watch for dress wear is either my FREDERIQUE CONSTANT, which has a black leather band, is amazingly thin and much smaller than most of my others, or for special occasions my RAYMOND WEIL Freelancer with the stainless steel band and gold markers. For the most part it really depends on my mood and sometimes the color of the suit/tie/shirt to see if I am going full-blown dress for success or dress to impress or dress because I have to. Lots of us "watch guys" are like that...doesnt matter the outfit or occasion! 2 or 3 hands Modesty in size, i.e., thin and <38mm No date & no other complications No lume A leather strap A simple, uncluttered dial & a clean bezel. So, no that Sub isn't a dress watch & neither is that Speedy -- even if you wear them to work on Wall Street. The idea is that the watch should not call attention to itself. Also vintage is great, I have a Girard Perregaux from the 60s that is stunning! 36.5mm two hands with small seconds applied indices and best part was I got it in amazing condition for $300ish. That’s a steal for a great piece. Good news! Simplicity and elegance come to mind. These watches tend to have clean dials and tuck under one's sleeve without effort. However, a watch can branch out a tad without unbecoming of a dress watch as well. Take for example the Seiko Sarb 035. A favorite amongst the WIS and it has lume! It sports baton hands and a date window at 3' o'clock. 38mm diameter, 20mm lugs, and thin this watch can fit under your shirt cuff without problem. The minute and seconds hands extend all the way and the hour hand is near the hour bars. The dial is clean and has minimal markings. Mostly just Seiko and automatic 23 jewels being noticed by most. While dressy it can be a bit sporty and worn on the weekend as well. The Orient Bambino, another thin watch. Here we have the Tissot Le Locle. Thin and elegant. If you look at the caseback you'll find it to be unique. The watch has a waffle pattern to it (likely stamped by a machine) and roman numerals. Again while there is a pattern to the dial... it isn't very busy. As with any good and proper watch the hands are nice and lengthy with the hour hand being short enough to take note of it as such. Now we have something that is not a dress watch. As you can see with the Glycine F104 it's leans towards classic and sporty. Okay, so imagine the 3 earlier watcher with these lugs. They would not be dress watches in that case. So, simply downward curving lugs are usually part of a dress watch as well. Now this is where we start to enter a bit of controversy. This here is the Glycine Combat Sub.... a diver. However it's very thin (11 I believe) and flat. Paired with a proper strap this can fit into a dress watch scenario with a bit of sport to it. Thin, clean design, and good job with the hands. However, it's larger and has a bezel. So while one can wear it and call it a dressy diver watch, it is in no way an actual dress watch. Therefore, in a round about way yes, it is up to personal tastes what watch you wear and some watches are up to personal opinion. The fact is for the most part it's just a category with its definition and there isn't an abundance of grey area to throw anything and everything under the heading. What's really up to personal taste is if the situation genuinely requires you to wear a dress watch, not what is a dress watch. So a diver has to be big for you to wear it? That's it? Nothing else? I like some divers and I don't like others, but I can't reduce it to a set of rules or filters. For instance, I like wacky handsets and I like minimalistic rectangular handsets. But I don't like sword-style handsets on divers. But I have one with a sword-style handset that I really like. The bezel makes up for it. So look for a slim watch, keep it simple and stick to traditional materials. Anyway this advice comes from someone who took to his own wedding the slimmest watch in my collection, a Casio F-84W. Only the bride noticed it. I value subtlety in dress watches and prefer a restrained esthetic and defined, clear design language. Models such as the Grand Seiko SBGW253G, some IWC Portuguiesers and Portofinos, Blancpain 8 Jours, JLC Master and Reverso, Glasshüte Original Senators, and Patek Phillippe Calatravas, for instance, remain on my "want list". My preference is for batons or arabic numerals for the face, although in some cases roman numerals work. I generally prefer light or white uncomplicated faces. Leather or metal straps? Indifferent really, but I might lean towards leather. what watch is this in the community banner picture? Wew, that is quite pricey haha.